He told alternative Indian medicines like Ayurveda, Homeopathy, and Unani will be offered to the patients. The hospital will come up on 50 cents land on the hospital premises at an estimated cost of Rs 9 crore (60 per cent of the cost is borne by the Centre and 40 per cent by the state government). 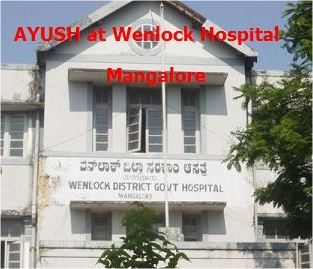 The Minister said that the OPD block of the hospital will be opened at the Wenlock Hospital on May 12. and said the government has already sanctioned 58 posts for the Ayush Hospital. He said Ayush wellness centres have also been planned in different parts of the state. The sanctioned posts include medical superintendent (1), senior medical officers (3—one each for Ayurveda, Homeopathy and Unani), nursing superintendent (1), medical officers-6 (2 each for Ayurveda, homeopathy and unani), staff nurse (12), pharmacists (3), Panchakarma technician (2), cook (2), dietician and massage expert (3), he added. The Minister said the state government will promote Ayurveda, Homoeopathy, Siddha and other alternative Indian medicines along with allopathic medicine to make treatment effective. He said the government has decided to have an Ayush hospital in all the district hospitals to provide an integrated system of treatment to those suffering from diseases in Dakshina Kannada and Gadag. Fifty-bed Ayush integrated hospitals have been sanctioned to Davangere and Chikkaballapura in this year’s budget. Apart from this, a 10-bed hospital has been sanctioned to Dandeli, T Narasipura and Chincholi, he noted.